Terrific "islands" set featuring, on the cover, the artists, including Marie Terangi. The set features space age swing tempo tunes mixed with jazzy passages and Terangi's terrific numbers, one at the end of each side of the disc. As with most of Crown's catalog, this one is available from online vendors. From the back cover: Harry Baty, leader of the group, is a master of Island melodies. Not only has he achieved remarkable success on recordings, but in motion pictures and television as well. Harry is backed by arranger-guitarist Sam Kaapuni, and Bob Nichols, steel guitar. Making her debut for CROWN records is the remarkable Marie Terango – Tahiti's most famous folksong interpreter. Marie performs brilliantly on two selections, showcased by percussion only. From the back cover: In the musical world, when one speaks of a fabulous family that has remained a fabulously successful organization, everyone immediately things of the Lombardos. 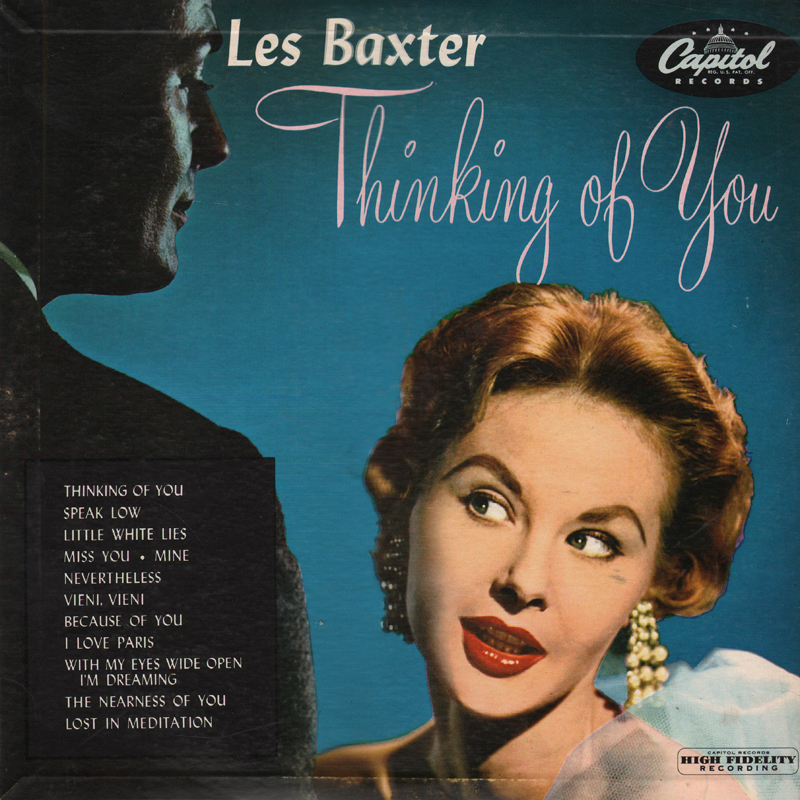 There were, to begin with, Carmen, who plays flute and saxophone, and is also a composer as well as singer; Lebert who fell in love with drums when he was a kid, but who now has the lead trumpet spot; Victor, youngest of the brothers, a virtuoso on sax; and Guy who, as a boy, studied the violin but got few chances to play it after he organized the Royal Canadians. Guy was a youngster of eleven when, in his native town of London, Ontario, he got together the nucleus of the band which, many years later, was to climb to the peak of popularity in America. A neighborhood youngster by the name of Kreitzer was persuaded to join the band, and he is still with him. Guy tried to settle down to a job in a bank when he finished school, but music was an overwhelming urge and, in 1921, he surrendered to it and began rehearsing his first band, which he then called "The Lombardo Brothers and Their Orchestra." In the meantime, he kept his job with the bank and worked with his musicians during every spare moment. Guy was, and still is, a perfectionist. Up until 1924 he played nothing but local dates, refusing to push the band too fast until he felt it was ready. After that his group was heard in Cleveland and Chicago by enthusiastic audiences. Then in 1929, Guy accepted the invitation of the Roosevelt Hotel in New York. 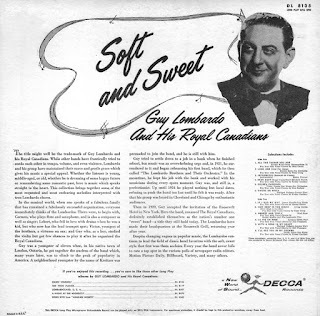 Here the band, renamed The Royal Canadians, definitely established themselves as the nation's number one "sweet" band – a title they still hold today. The Lombardos have made their headquarters at the Roosevelt Grill, returning year after year. 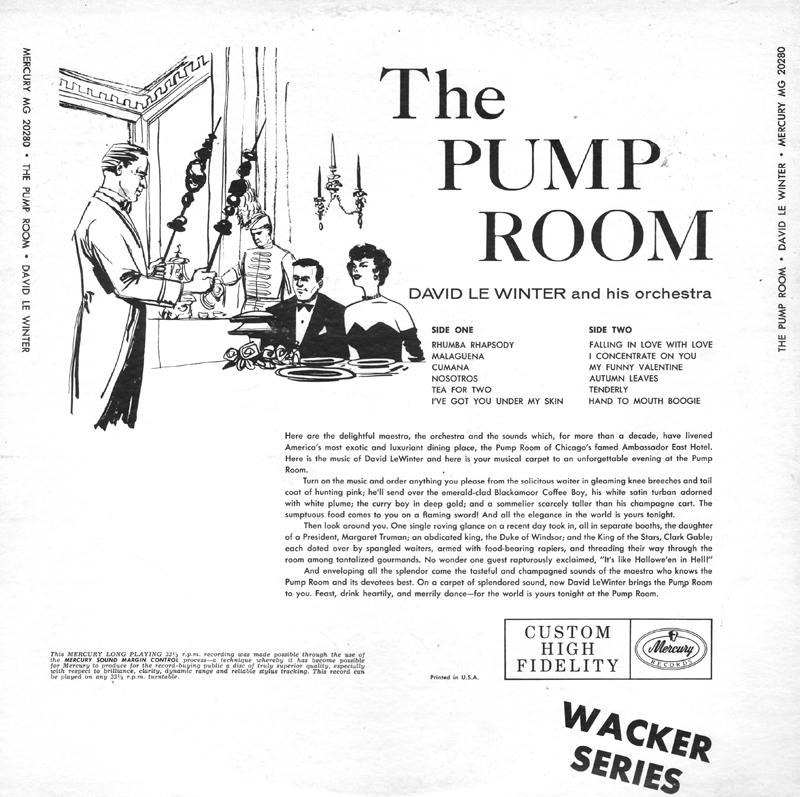 From Billboard - November 25, 1957: As a society band maestro, Le Winter is well known in the Chicago area. For that reason, this set, which is another in a growing series of society packages, can do a brisk business there with the expectancy of buy minor action elsewhere. Current competitors outdo this in both quantity of tunes and liveness of sound. A doubtful addition to inventory. 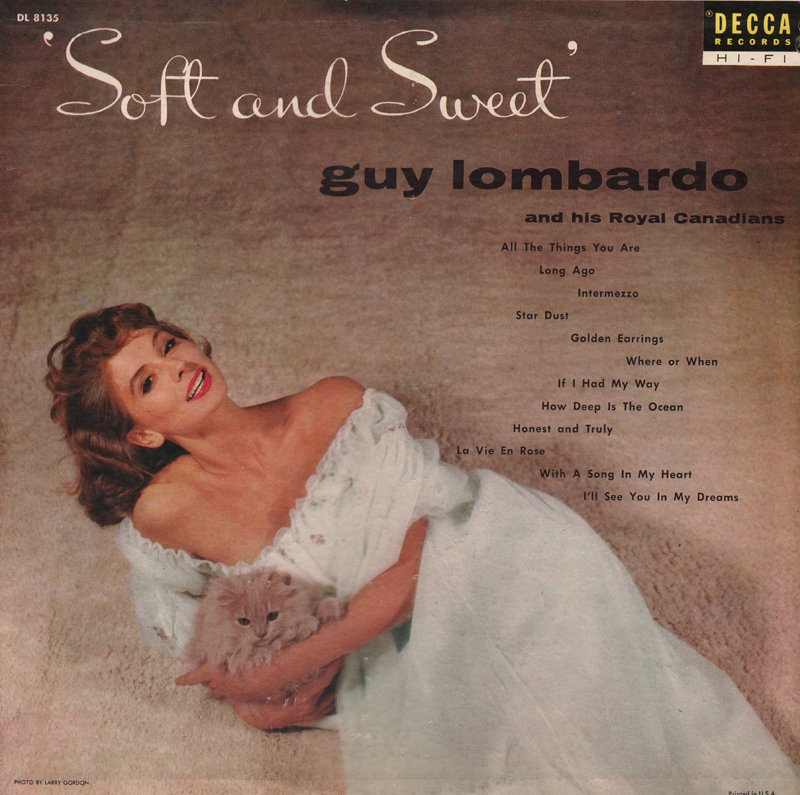 Competition in the 1957 market would be heavy, but this LP is as good as many piano driven big band club room sets found in stores at the time. The album's theme, music that was actually performed at The Pump Room, is probably why the reviewer felt that the sound lacked "liveness" in that some arrangements seem "soft" or the set lacks stylistic drive because the music was meant as dinner entertainment and not for the concert hall. If Le Winter had strayed from his authentic dinner club sound then the album theme would have made no sense and his Chicago market would have been turned off. Songs are arranged into a continuous medley per side, played through as you would likely have heard the Trio perform them in a club. 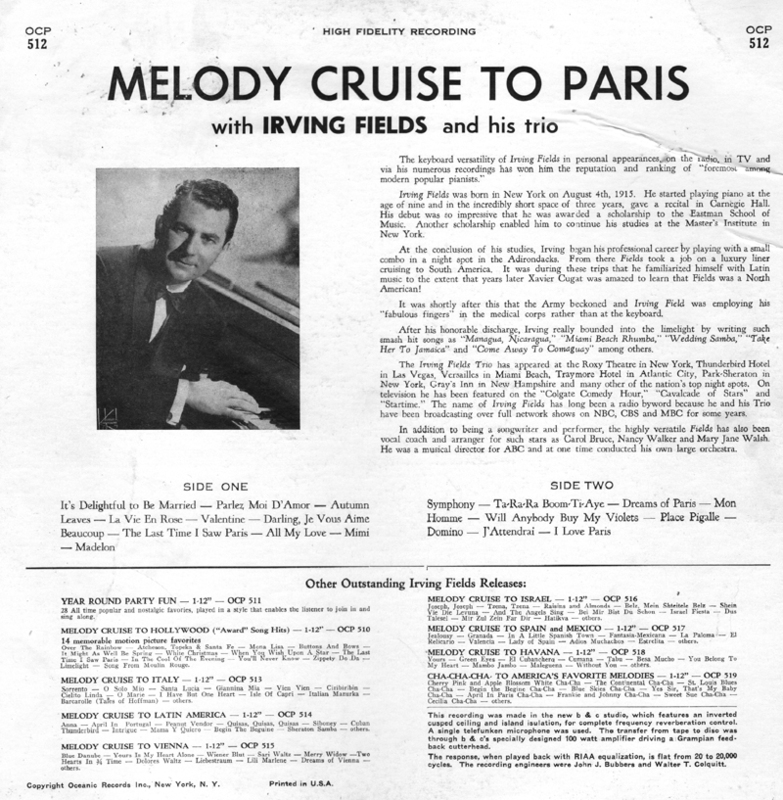 From the back cover: The keyboard versatility of Irving Fields in personal appearances on the radio, in TV and via his numerous recordings has won him the reputation and ranking of "foremost among modern popular pianists." 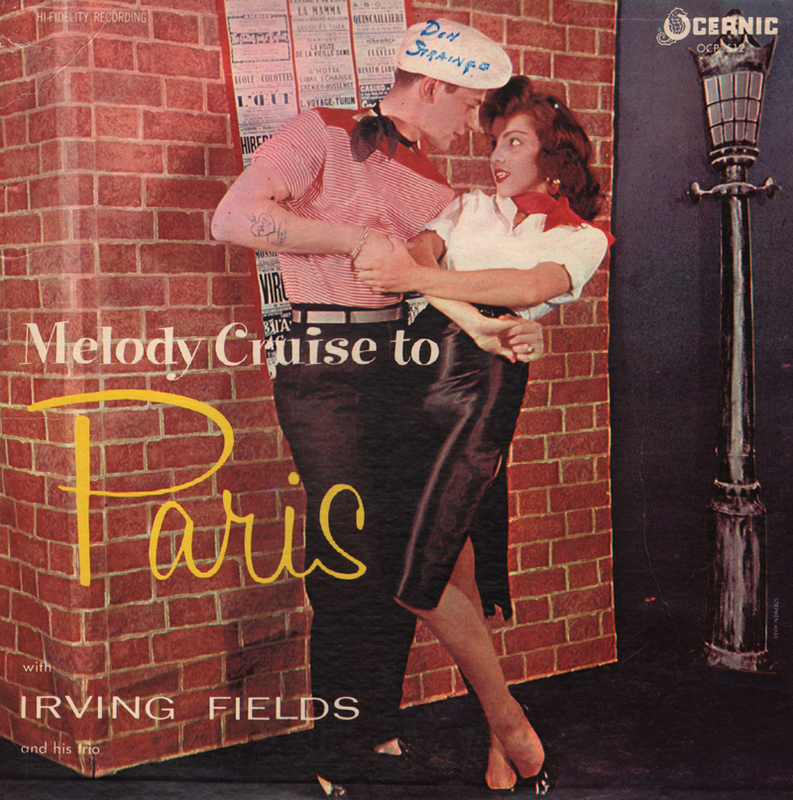 Irving Fields was born in New York on August 4th, 1915. He started playing piano at the age of nine and in the incredibly short space of three years, gave a recital in Carnegie Hall. His debut was so impressive that he was awarded a scholarship to the Eastman School of Music. Another scholarship enabled him to continue his studies at the Master's Institute in New York. At the conclusion of his studies, Irving began his professional career by playing with a small combo in a night spot in the Adirondacks. From there Fields took a job on a luxury liner cursing to South America. It was during these trips that he familiarized himself with Latin music to the extent that years later Xavier Cugat was amazed to learn that Fields was a North American! It was shortly after this that the Army beckoned and Irving Fields was employing his "fabulous fingers" in the medical corps rather than at the keyboard. After his honorable discharge, Irving really bounded into the limelight by writing such smash hits songs as "Managua, Nicaragua," "Miami Beach Rhumba," " Wedding Samba," "Take Her To Jamaica" and "Come Away To Comaguay" among others. The Irving Fields Trio has appeared at the Roxy Theatre in New York, Thunderbird Hotel in Las Vegas, Versailles in Miami Beach, Traymore Hotel in Atlantic City, Park-Sheraton in New York, Gray's Inn in New Hampshire and many other of the nation's top night spots. On television he has been featured on the "Colgate Hour," "Cavalcade Of Stars" and "Startime." 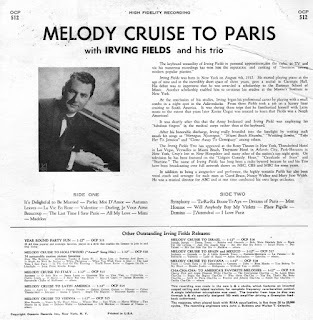 The name of Irving Fields has long been a radio byword because he and his Trio have been broadcasting over full network shows on NBC, CBS and MBC for some years. In addition to being a songwriter and performer, the highly versatile Fields has also been vocal coach and arranger for such stars as Carol Bruce, Nancy Walker and Mary Jane Walsh. He was a musical director for ABC and at one time conducted his own large orchestra. From Billboard - February 2, 1963: This is a smooth individualistic tour-de-force for Paul Smith and the other members of his quartet. 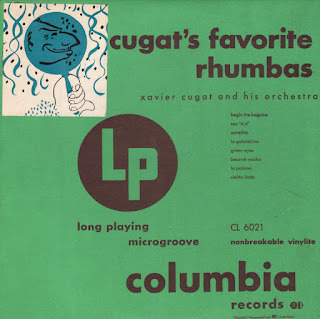 The feeling is "commercial Latin" (various rhumba and bolero tempi), but the numbers run all over the hemisphere, from Lecona's "Malaguena" to the R&H "Surrey With The Fringe On Top." Smith is front-and-center as the album's star on piano, celeste, electric organ and the slick backing, and percussion work is all he could ask for. A nice platter for middle-road radio programmers. From the back cover: Paul Smith is the Stan Musial of popular music: a versatile, reliable, inventive performer whose very presence on any record date is invaluable. A native Californian (he was born in San Diego), the 40-year-old keyboard master has had experience in many facets of the music whirl. 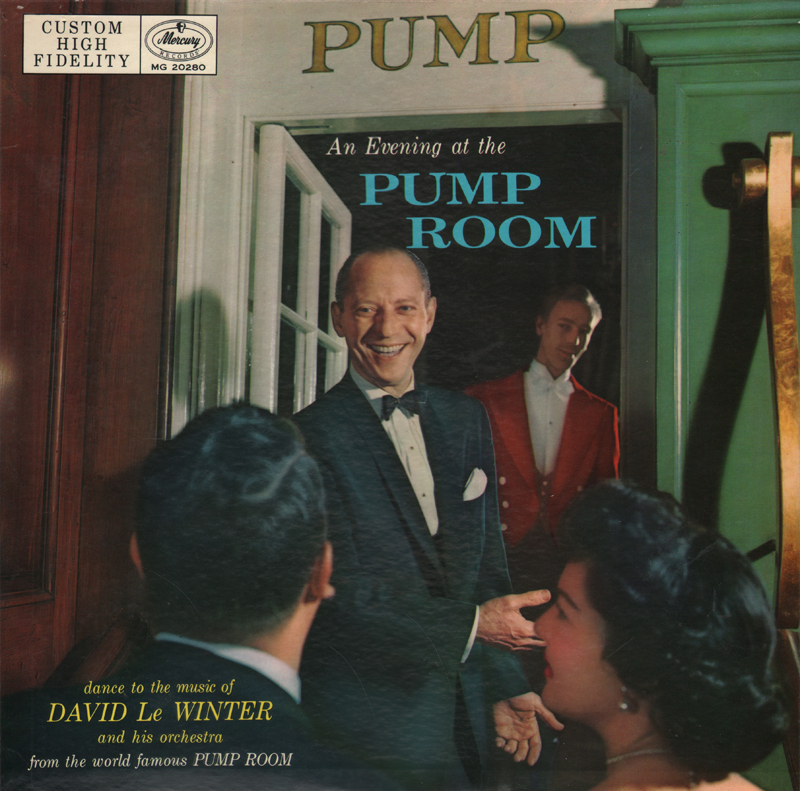 His father, a trumpeter, and mother, a vaudeville performer, provided the initial impetus. At age 19, Smith was a member of Johnny Richards' band. A year later, in 1942, he joined veteran Ozzie Nelson's crew. Summoned to army service in 1943, he served as an MP with our forces in Germany, doubling with a band headed by trumpeter Ziggy Elman. After the war, Smith returned home, to work with Les Paul's trio, as accompanist to the Andrew Sisters and with Tommy Dorsey's band. In 1949, he decided to settle in Hollywood, probably the wisest decision he ever made. Few musicians have become as sought-after as Smith in Hollywood's diversified circles. On assorted keyboards (piano, organ, harpsichord and celeste), he's become a stalwart on many radio and TV shows originating in Hollywood (occasionally he can be seen on camera backing Dinah Shore on that kiss-dispenser's television show). On innumerable record dates, from jazz sessions to large orchestra pop tapings, he's been the pianist whose skill enables him to match perfectly with the chosen setting. On his own time, when the demand for his services abates (and that rarely occurs), he's fronted his own combo, in person and on records. In recent years, he's taken time off to server as accompanist to Ella Fitzgerald. The fact that he fulfilled the duties of that assignment so well provides added endorsement of his artistry; few musicians could satisfy the requirements of the Queen of jazz singers and those of the radio-TV production executives. From the back cover: As in his albums "Speak Low" and "Temptation," Every note you hear is played by him on a keyboard instrument. The instruments heard are piano, organ, celeste, electronic piano, electronic celeste. The lush tones of the Hammond organ are further enhanced by the use of Leslie speakers and a special electronic bass attachment. An assembly of keyboards adds new distinctive sounds and a full orchestral feeling. Eddie's unique artistry is the culmination of many years of varied experience in the music field. He began his career at the early age of eleven by playing for dancing classes, and has since accompanied top-notch singers, dancers, and all types of theatre acts. His years on the road with orchestras such as Glen Gray and Frankie Masters contributed to his vast backlog of experience and are evident in his piano and organ arrangements. 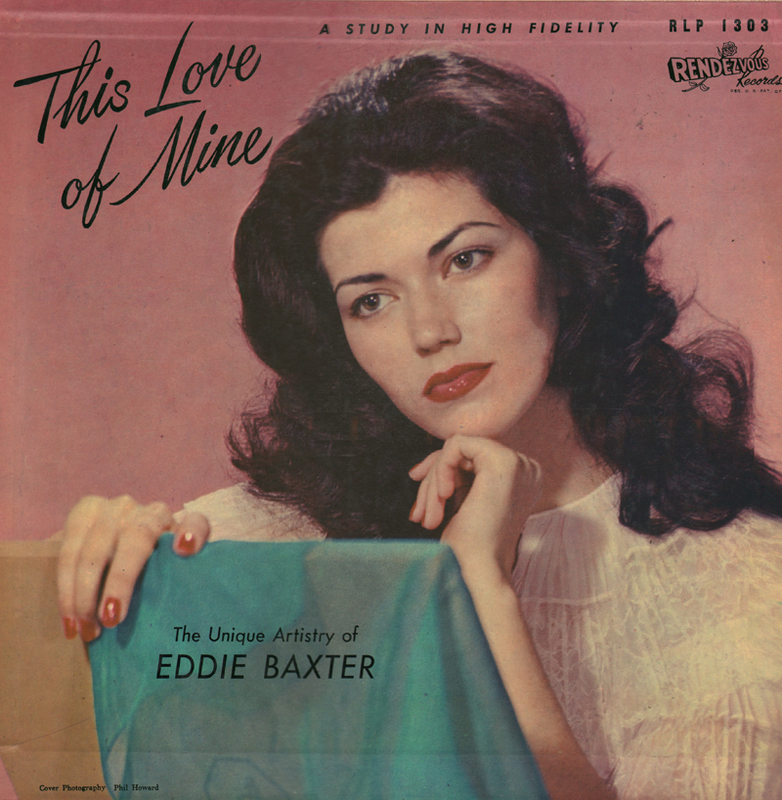 The Eddie Baxter ballad style became familiar to television audiences of "The Continental." 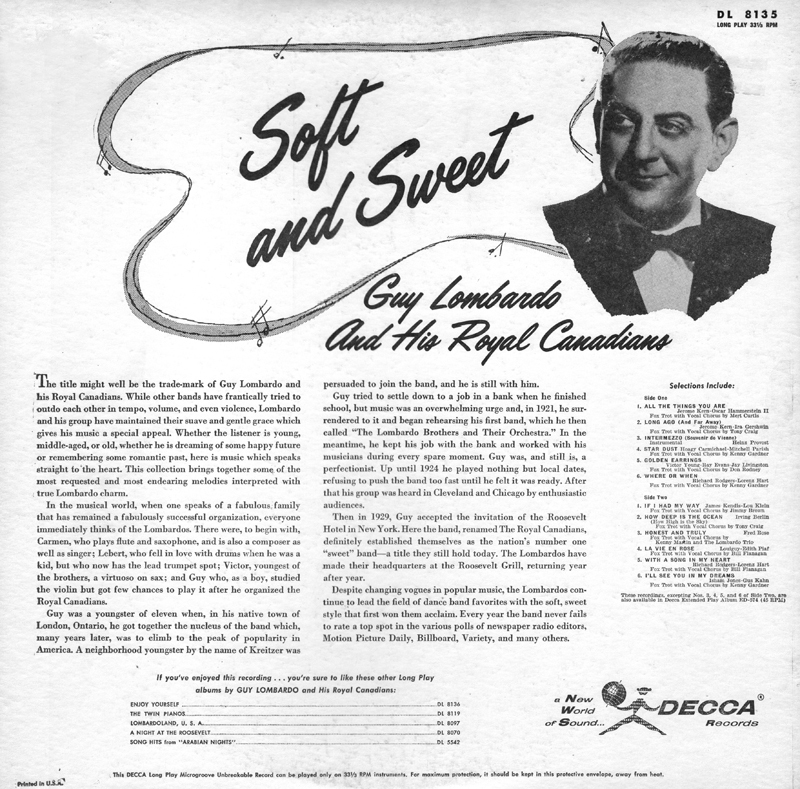 with Renzo Cesana, when it originated in Hollywood in 1951, and his arrangements of "up" tunes were heard daily on the Jack Elroy show for over three years. 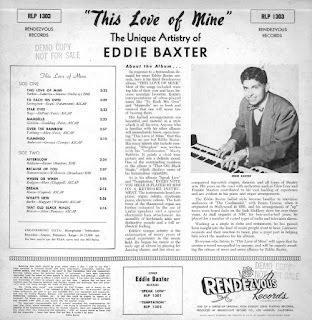 As a staff organist at NBC for four-and-a-half years, he played for a number of varied types of radio and television shows. Working as a single in clubs and restaurants he has gained keen insight into the kind of music people want to hear. Listeners' requests and their reaction to tunes, play a great part in helping him select the numbers for his albums. Currently available on spotify and from other online vendors. Sweet cover art and period space age mood set. 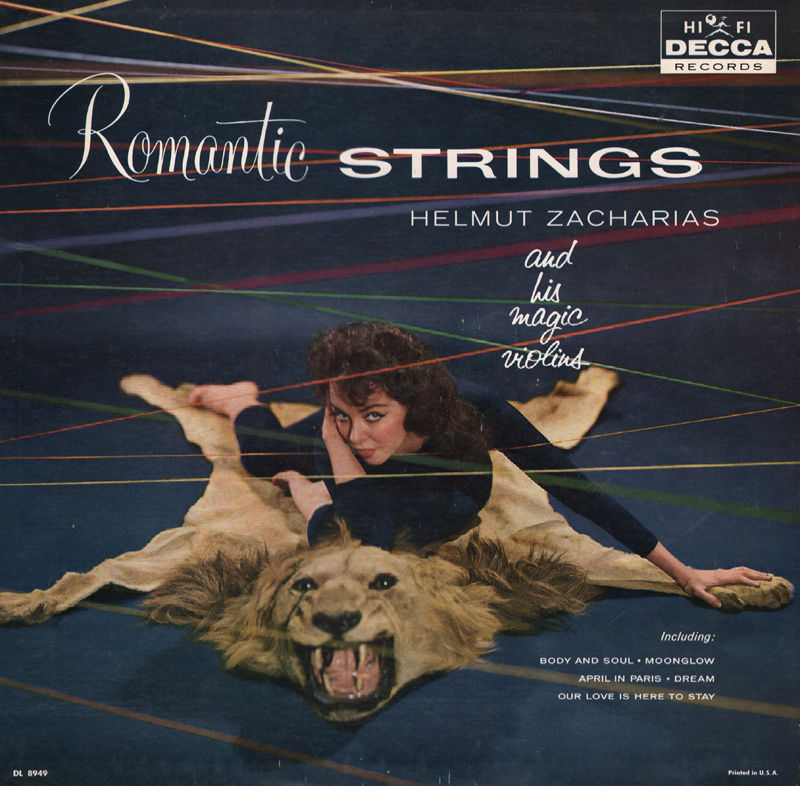 From Billboard - November 30, 1959: Violinist Zacharias is much in evidence on this group of standards, many of which are show tunes. He is backed by massed violins which all adds up to a listenable program of background music. 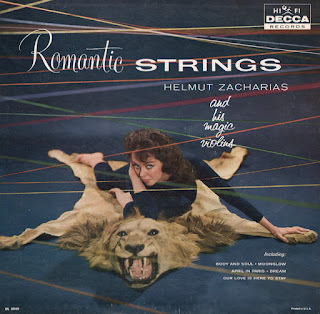 Salable product, recorded in Germany by Duetsche Gramophon. 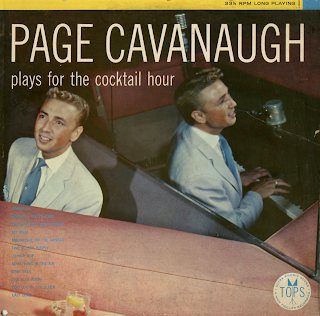 From the back cover: Page Cavanaugh began his musical career at the age of ten in his home state of Kansas, winning highest honors in inter-state piano contests. 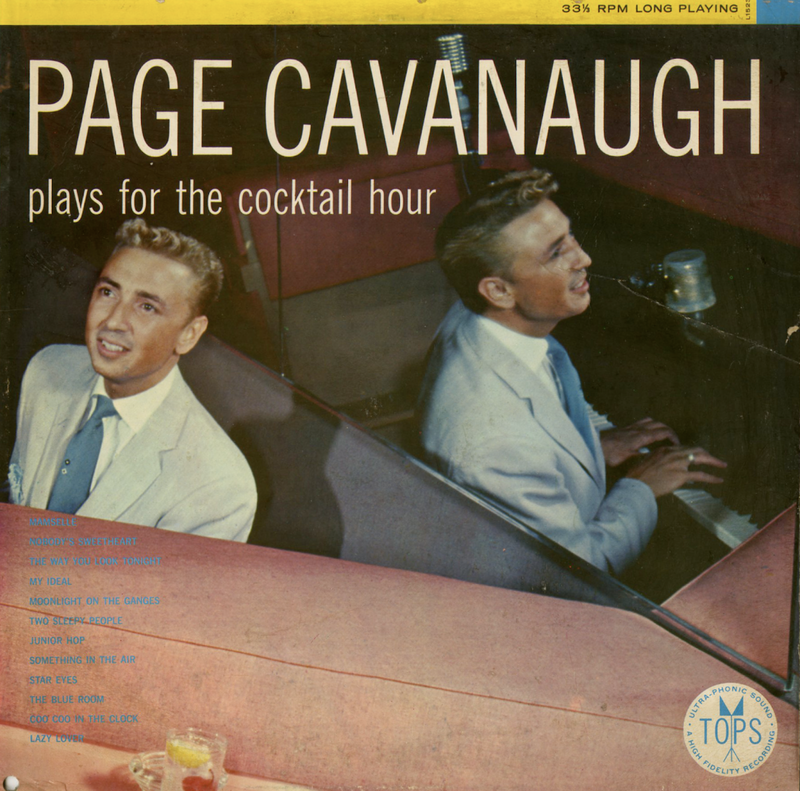 In 1940, Page went to Hollywood, and quickly became known on the West Coast. In 1942 he joined the Bobby Sherwood band and after touring for seven months, Page cut his career short by enlisting in the Army. It was during this three year Army stretch that the Page Cavanaugh Trio was formed. Discharged in 1945, Page took his trio to Hollywood and was placed in such leading clubs as the Trocadero, Ciro's, etc. which resulted in the rapid rise of the Trio to national fame. Frank Sinatra heard the group and took them to New York to accompany him at the Waldorf-Astoria, as well as on Old Gold series. The latter part of 1947 found the trio playing practically every part of the United States, Canada, Honolulu and Europe. Page likes "the road" and enjoys making new friends. He has made several trips overseas to entertain the Armed Forces. 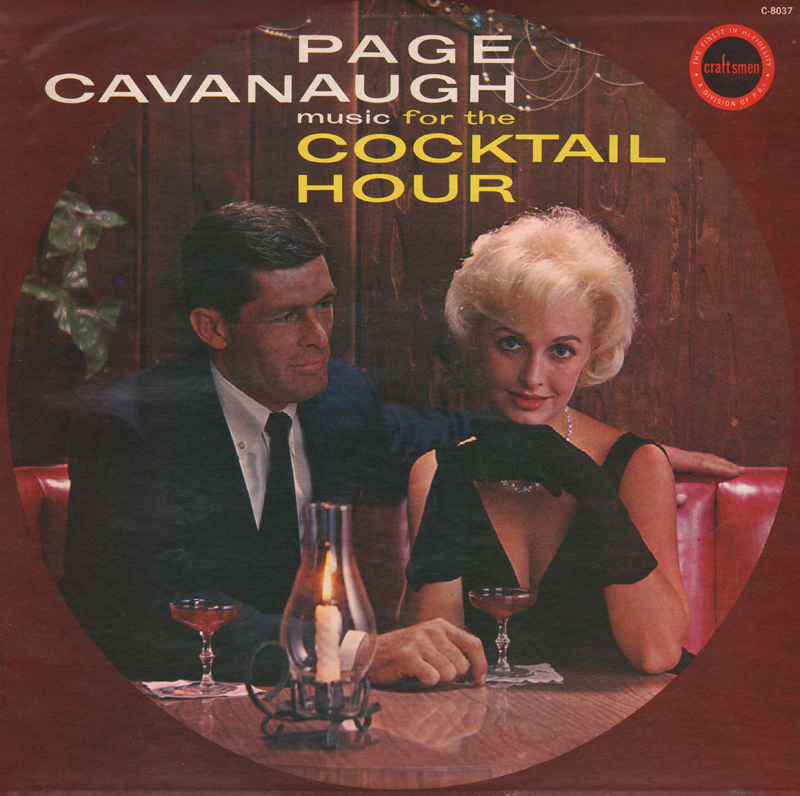 The Page Cavanaugh Trio are known as a perfect group for vocalists. The group is augmented with four-way vocal arrangements which, in combination with clever instrumentation, makes for a style that is excitingly different, proof of which can be quickly found in this great new full range Hi-Fidelity. From Billboard - October 17, 1960 (Craftsmen review): The piano man and group perform with a vocal quartet in offering nine listenable sides. "Nobody's Sweetheart," "My Ideal" and "Cuckoo In The Clock" are samples. some danceable material, too, but the accent is on providing a pleasant background sound. On this set you will hear a mix of space age "Island" approaches, all of which blend nicely together. 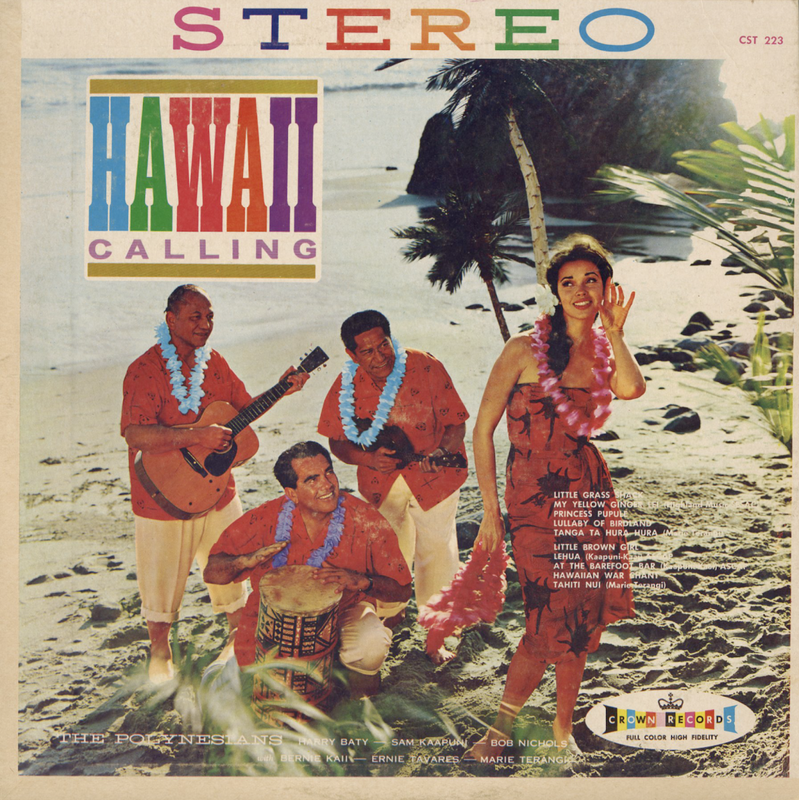 From the more traditional "steel guitar sound", to "exotica", to that early 60s light pop "sound". A representative example was hard to choose. My personal favorite was the "exotica-flavored" (bird calls) Return To Paradise which is a perfect soft blend of instruments, choral accents and environmental sounds. 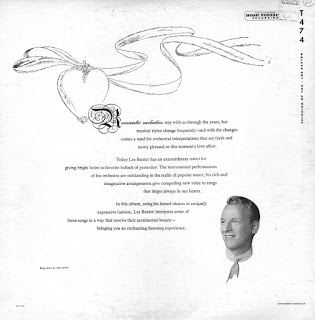 Mure didn't create a "guitar" album, rather, he made a balanced light pop space age set. 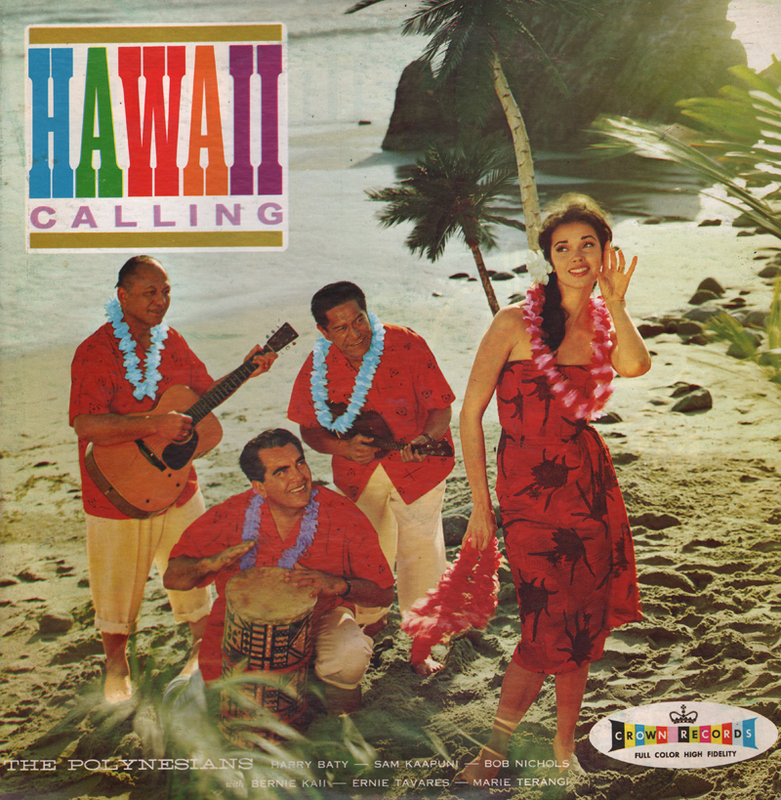 From the back cover: A while back, when a popular television show was being filmed in Hawaii, the host of the show, along with the members of the cast, were enthusiastic in their appraisal of the beauty of the state. They expressed it in terms of of everything looking so "PINK" and lovely. 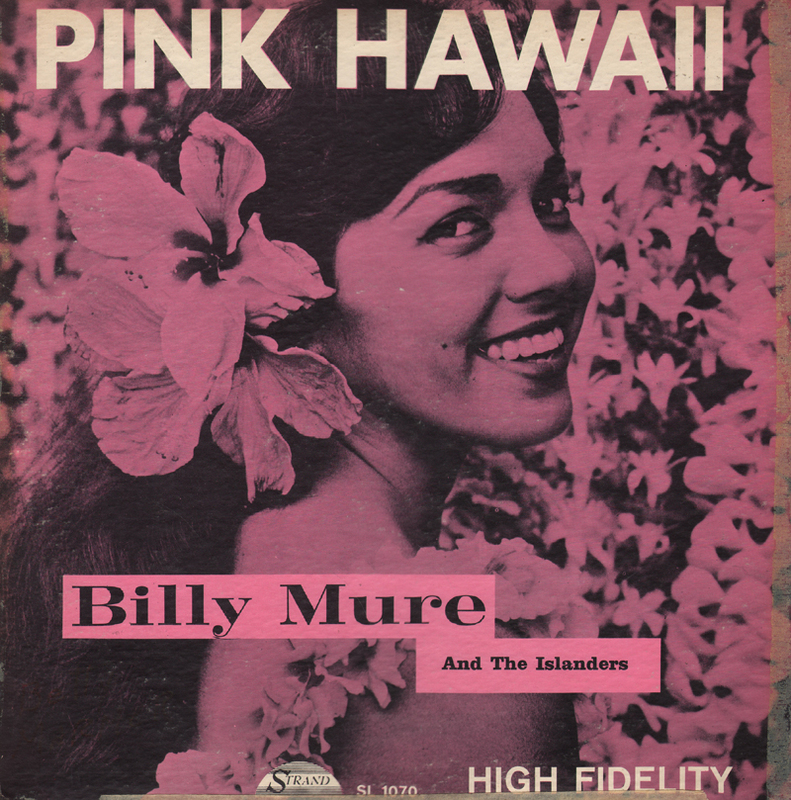 Therefore, the noted guitarist and composer BILLY MURE wrote a song to express this beauty, and thus "PINK HAWAII", an extremely delightful album of popular Hawaiian melodies. This is the more obscure release (10 - inch LP) of this set.